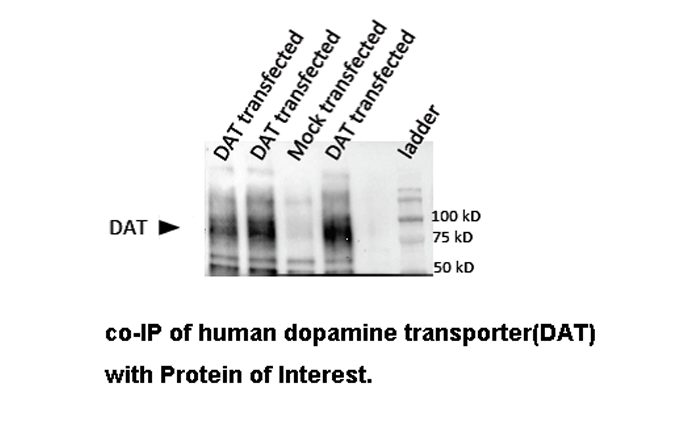 Each cell lysate was analyzed by immunoblotting with anti p62 and LC3 antibodies. 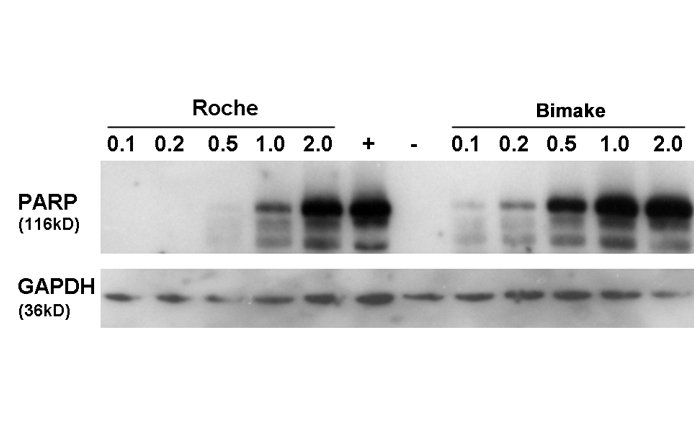 CHO cell lysate was treated in 37℃ for 2h, different ratios of cocktail are added. 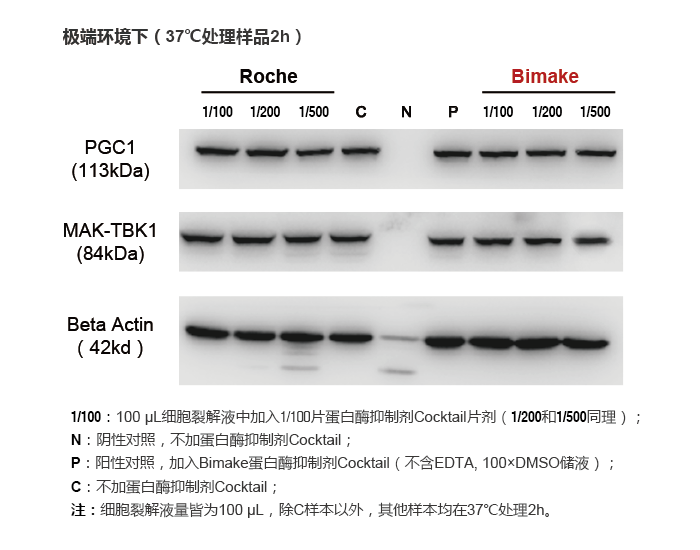 Bimake mini-Tablet Protease Inhibitor Cocktail is compatible with DAT co-IP experiments. 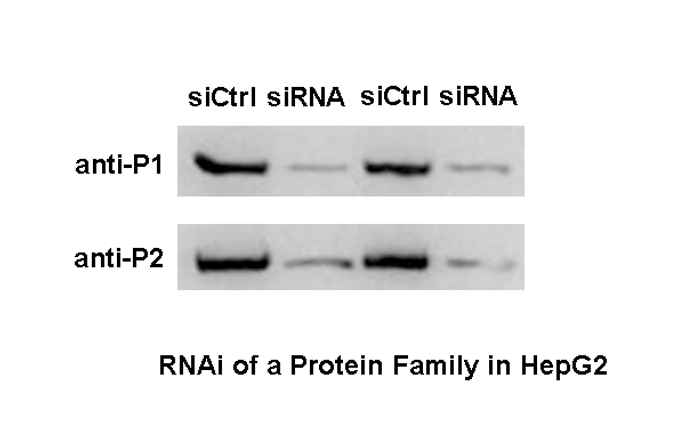 With the help of Bimake mini-Tablet Protease Inhibitor Cocktail, we demonstrated clear RNAi activity in our results.